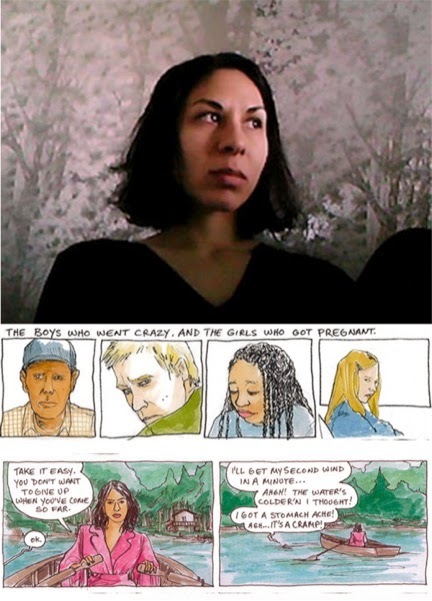 Rachel Masilamani is a Pittsburgh based comics creator who has been quietly amassing a unique and significant body of work since the dawn of the century. She started off strong, being awarded a Xeric Grant for the first issue her series, RPM way back in 2000, and has continued to craft her finely nuanced, personal comics in small run self-published comics, anthologies like MeatHaus, Graphic Classics and Dog City. She is currently working on a new graphic novel, Non Partum, which is being published in installments on Mutha Magazine.